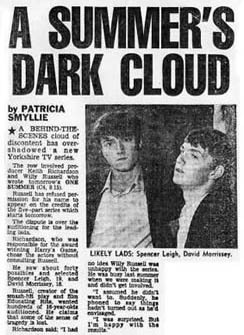 The first screening of One Summer in the UK was foreshadowed by some controversy. 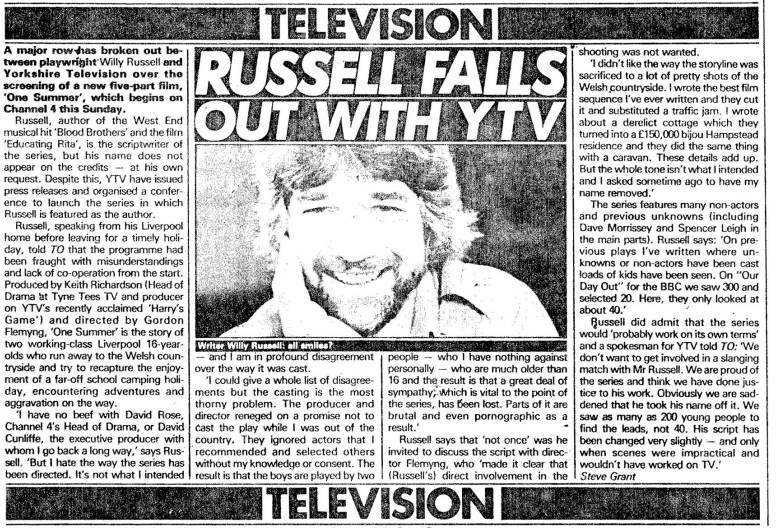 Reports below detail how Willy Russell the screenwriter was unhappy with aspects of the production and as a result his name was removed from the credits. 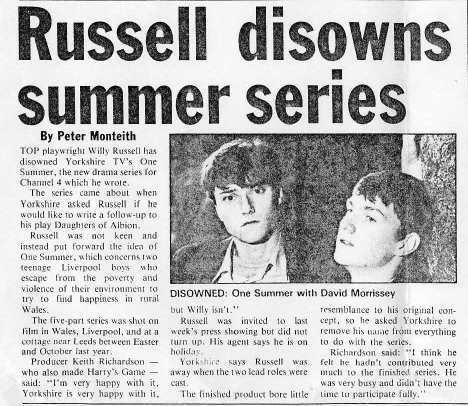 Despite the coverage at the time, it is still not completely clear what the exact disagreements were, though they clearly involved differences between Russell and the director, on the casting and general style of the production. 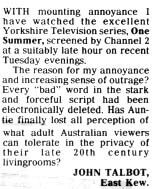 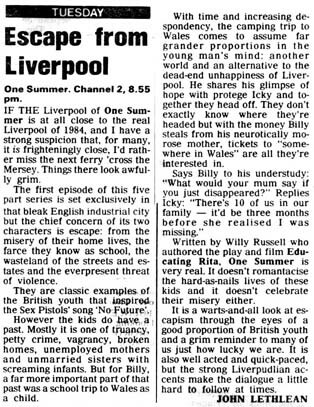 It is interesting to note that Willy Russell's name did reappeared in later rerun screenings, and was credited in ITV publicity from 1985. 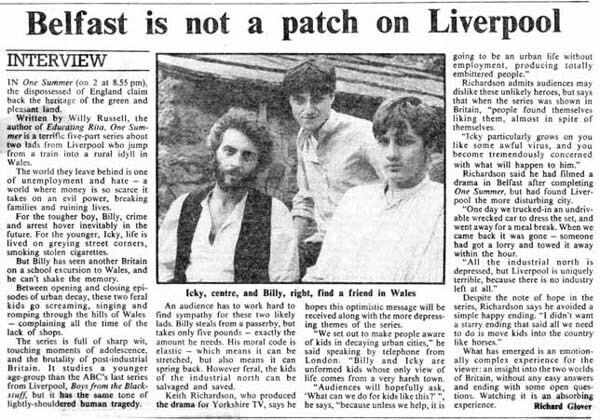 Until recently, Granada Media stated that the program could not be sold or rescreened due to instructions from Willy Russell. 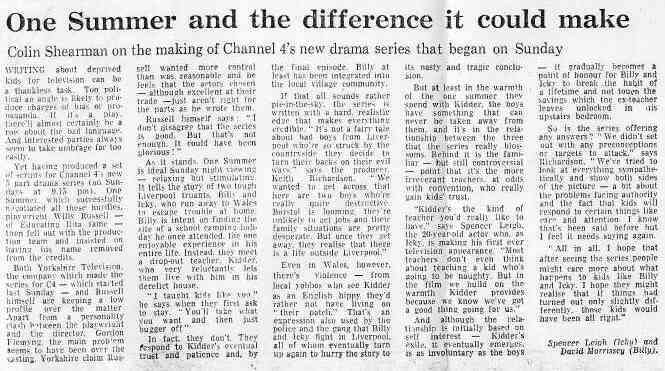 However a breakthrough in 2005 has now seen the DVD rights secured, and a DVD release is due in January 2006 from Network DVD.